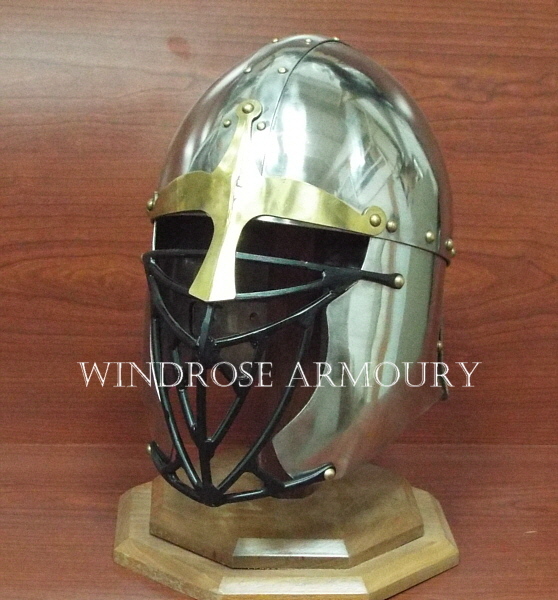 Romano-British Helmet, Stainless Steel, Large [H-405] - $725.00 : Windrose Armoury, We Bring History To Life! 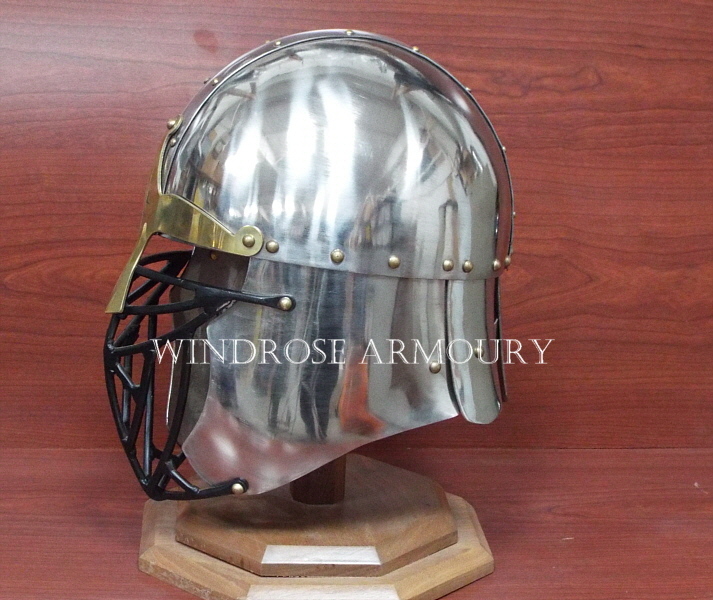 Styled to look like helmets worn at the fall of the Roman Empire, this 14 gauge Stainless steel features a slatted back for air flow, a center band, and a brass nasal. 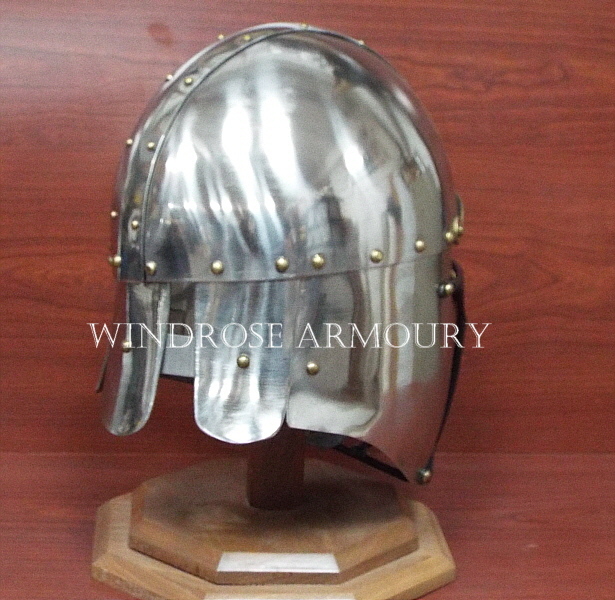 An extremely attractive helmet that will hold up for years of SCA combat. Helm weighs 7.1 lbs. Sized to fit 24 inch head.